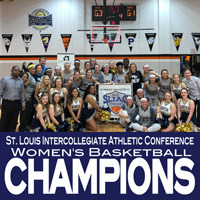 Saturday's SLIAC Tournament championship is the first since Webster earned the 2011 title. The Gorloks also claimed the SLIAC Tournament title in 2005. 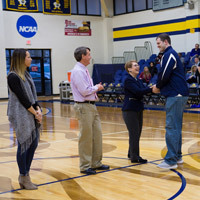 In addition, Webster also earned its fourth-ever NCAA Tournament appearance and its first since 2011 when Webster fell 82-70 in the first round to Illinois Wesleyan. The NCAA will unveil the 64-team field for this year's tournament online on Monday afternoon. 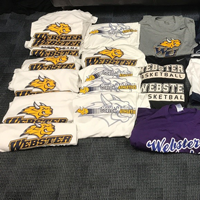 Webster men's basketball head coach, Chris Bunch, and women's basketball coach, Jordan Olufson, put together a bundle of t-shirts, polo shirts, and even jackets of Webster gear and donated them to Coach Sampson's drive for Hurricane Harvey victims.